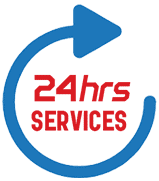 All Hours Emergency Plumber provides the best rooting and residential drain cleaning services in Jacksonville. We’ve been in service for several years because we work very hard to make the customers happy and their homes safe. If you are in need of emergency service, make sure to call us right away at (904) 574-5100! Rooting is a service provided by many plumbers in which we ‘root out’ whatever is clogging your drain. The way that your pipes are created to allow positive air flow out and away from your home. To create this positive air flow, the pipes will have bends and curves constructed into their formation to make it easier to transport. However, if something especially heavy is being sent through, it’s possible to clog the drain in someplace difficult. The rooter machine uses either a flexible rod or sometimes high water pressure to break apart the waste that is clogging your drain and return the positive water flow back to its normal rhythm. 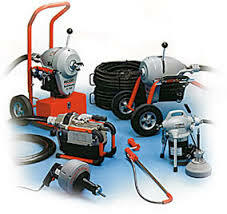 One of the most common ways that cause drain clogs is the natural buildup of chemicals over time. Soapy, wax-based detergents, among other common culprits will create a residue on the interior of the pipe that makes it easier for sediment to cling to the edges of the pipes. The best way to reduce the chances of this happening is to remove the residue via cleaning. Drain cleaning is our service provided in which we uproot the ground surrounding the drains and give them a thorough cleaning if not replacing certain parts of pipes altogether.